It's too early in the year... the start of our great island adventure. It was the end of February and a rare high pressure system settled over northwest Scotland. 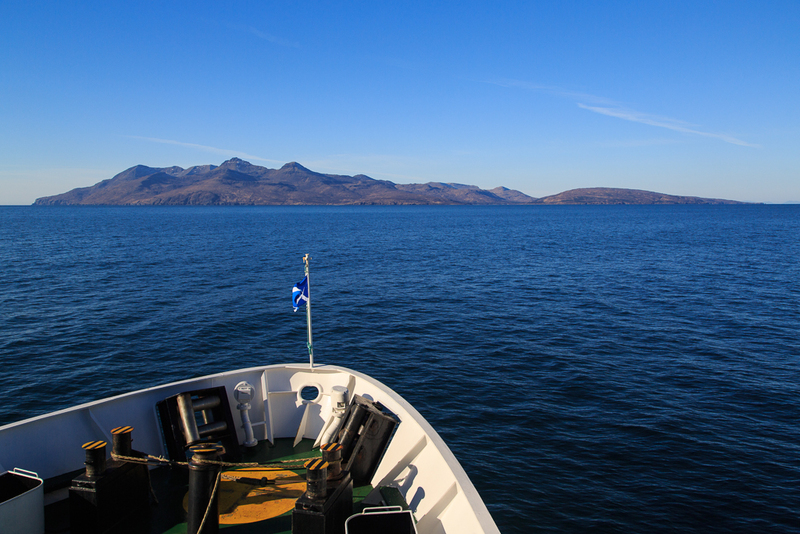 It was time for a trip to the Small Isles. Ian, Mike, Phil and I had originally planned this trip last summer but the promised high pressure evaporated as our embarkation day approached and we went shopping instead. At least the work with tidal planning and printing/laminating maps was not wasted. This trip is unusual in that you need to take account of weather, tides, surf heights but also ferry times! I have paddled to the Small Isles from Arisaig and from Glen Brittle but each of those options takes two days (there and back) out of a small weather window. A much more preferable option is to use the ferries and spend the time paddling between the islands. The Calmac ferry timetable for the Small Isles is pretty impenetrable as the ferry travels to different combinations of islands each day, a further complication is that the days change in summer! With some planning of wind direction tide times and ferry times it is possible to ensure favourable paddling conditions and yet ensure if weather closes in it will not be too long before the next ferry arrives to return to Mallaig. 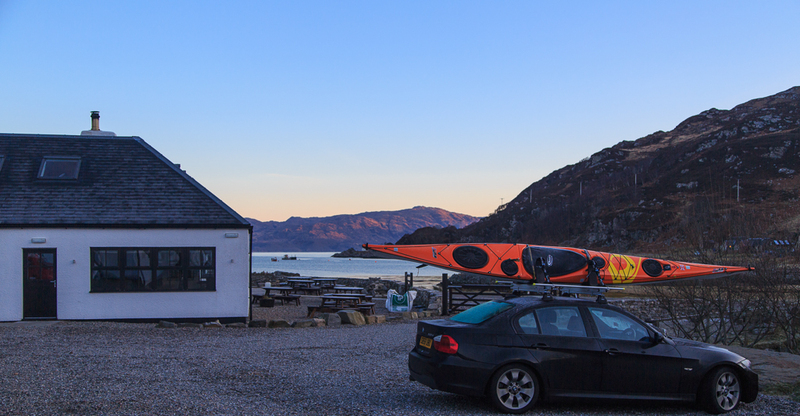 I travelled up the night before and stayed at the Glenuig Inn. 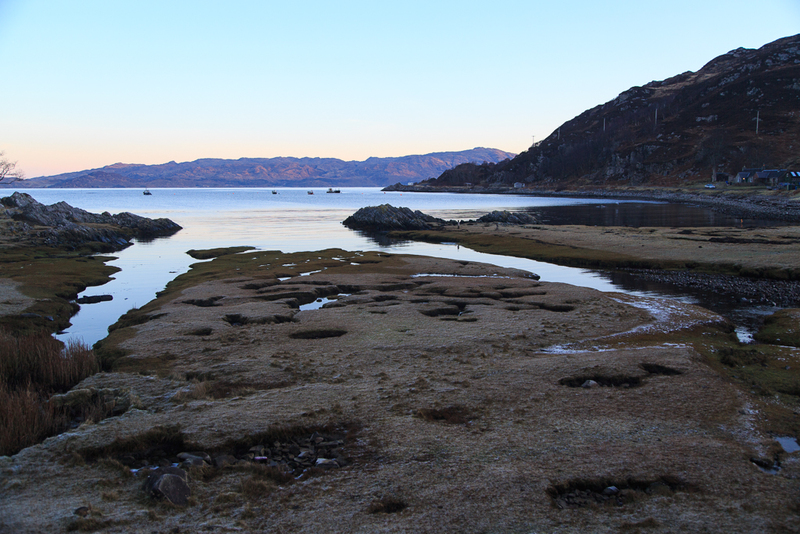 The morning dawned fair with little wind on the Sound of Arisaig but with a hard frost on the ground. 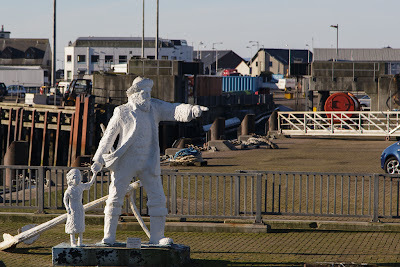 I met my good friend Ian at the top of the Mallaig ferry ramp in good time for the 10:20 sailing to Rum. 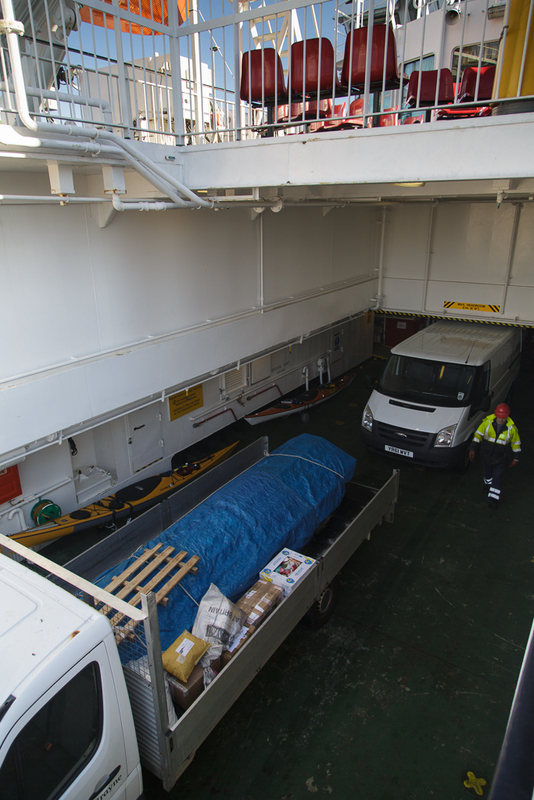 Soon we were loaded onto the MV Loch Nevis with a contractor's lorry and delivery van. (You cannot take your car to the Small Isles but there is a large free car park 5 minutes walk from the ferry terminal and you can drive into the terminal to drop the kayaks off). 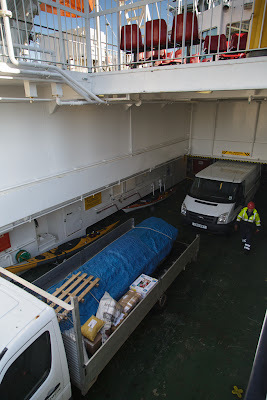 When I went in to the Calmac booking office to check the kayaks in I was greeted by amazement, we were the first sea kayaks of 2013 and the lady said "Are you sure you want to go? It's too early in the year!" Right on time MV Loch Nevis swung out round the end of Mallaig Pier. The statue of the fisherman and young girl is by local artist Mark Rogers of Airor in Knoydart on the other side of Loch Nevis. At Aior there is a similar statue of just the fisherman. Soon MV Loch Nevis was steaming away to the small Isles leaving the mouth of Loch Nevis in her wake. 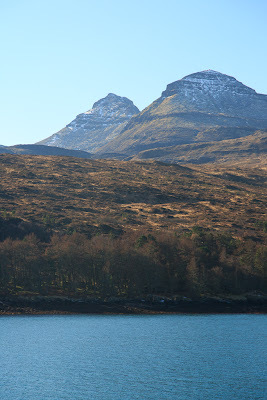 ...we entered Loch Scresort on Rum's SE coast the peaks of Askival and Hallival literally towered over us. 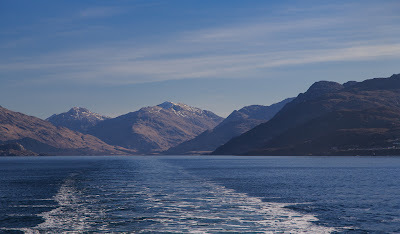 Ian and I had travelled in civvies and were waiting for the Loch Nevis to leave before changing. Just at that moment, a woman came down the jetty and asked "Are one of you the doctor?" In my best Dr Who voice, I said "Well I used to be a doctor but I am not the one you are looking for!"